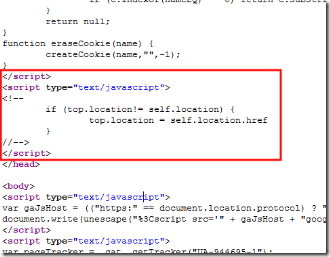 How to force the DiggBar to NOT load on your website ? it's presented in a short URL format, making it easy to share in emails, on Twitter, and via other services. 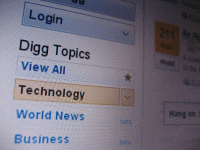 You can find the DiggBar on all outbound links from Digg.com. This means whenever a link from your website is featured on Digg you are no longer going to get any traffic juice to your blog from Digg. This is because the page on your website is actually on Digg itself — they’re making a page with the DiggBar and pulling in your content without permission into a frame. And if you use the Digg short URLs and since all the links that appear on Digg now use the DiggBar short URL, none of the link credit passes to your page. It’s all kept with Digg. Since everything is loaded as ditto your webpage you donot loose out on advertising revenue. 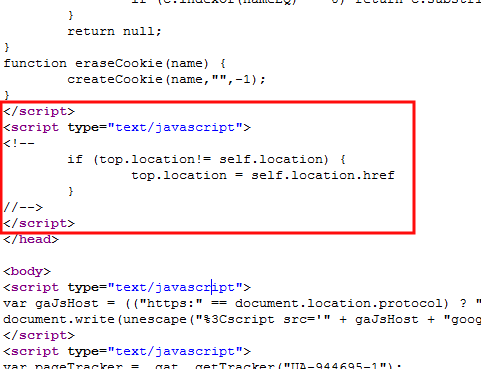 A screenshot of the source code of the website Searchengineland will make things a bit more clear so as to where the exact placement of the code should be.